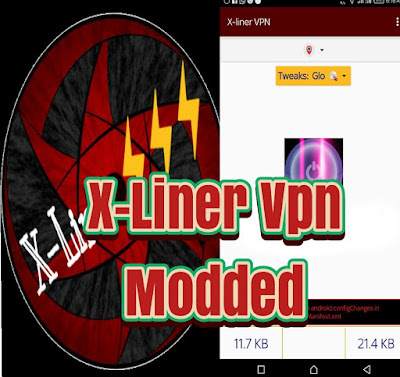 Good day Guys, this Article is going to be focusing on a New vpn called X-Liner VPN. With this VPN, one can browse the internet for free using Glo and Etisalat network. If you happen to be one of those that browse the internet for free using Tweakware and Stark VPNs, there’s one particular annoying thing they have in common which is The Ads, this is where this new Amazing vpn comes in, with this kinda vpn, you won’t experience those annoying popup ads anymore which means the use of Lucky Patcher is not needed cos it was designed to perform that way. Click on connect and blaze on. Note >> For those using Glo or Etisalat as their Tweak, Goto Your APN and set the fastest network Apn of your area as your Glo Apn or Etisalat Apn. That’s all on Browsing the internet for using x-liner vpn. Having any issue with this app, kindly drop your comment below, lets have it fixed!